Welcome! 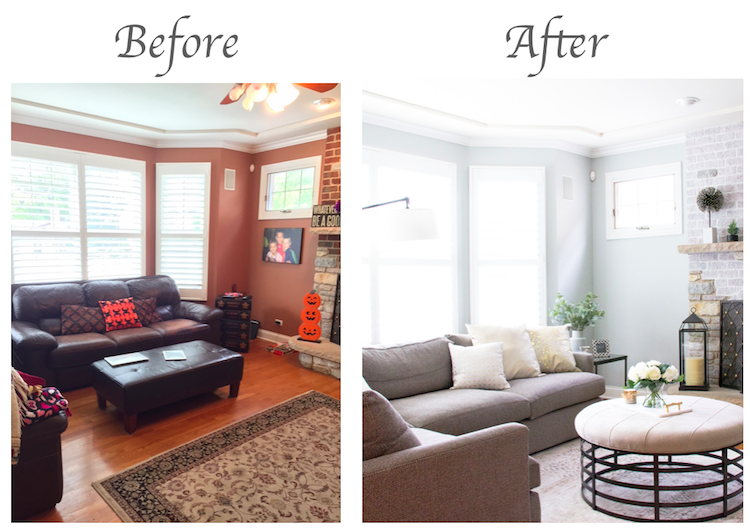 I’m delighted to share some before and after photos of a client’s family room. It’s one of my favorite transformations to date! 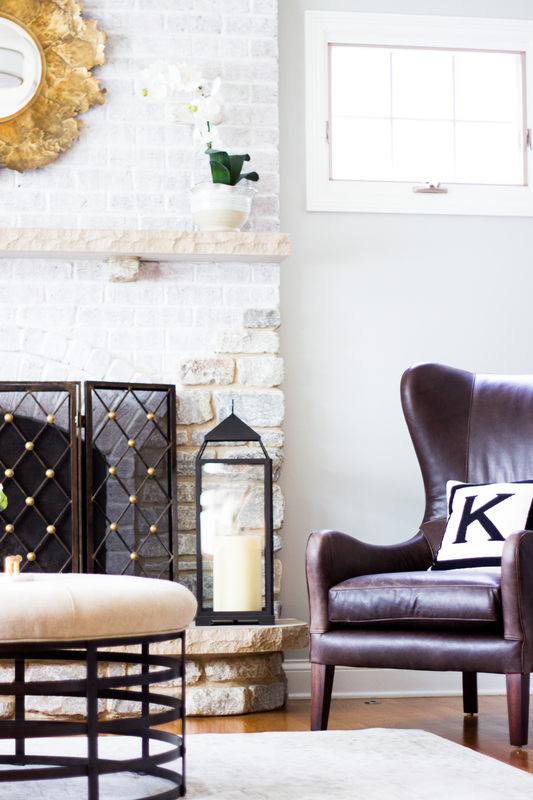 My main goal was to brighten up the space and make it a little more modern vs traditional. 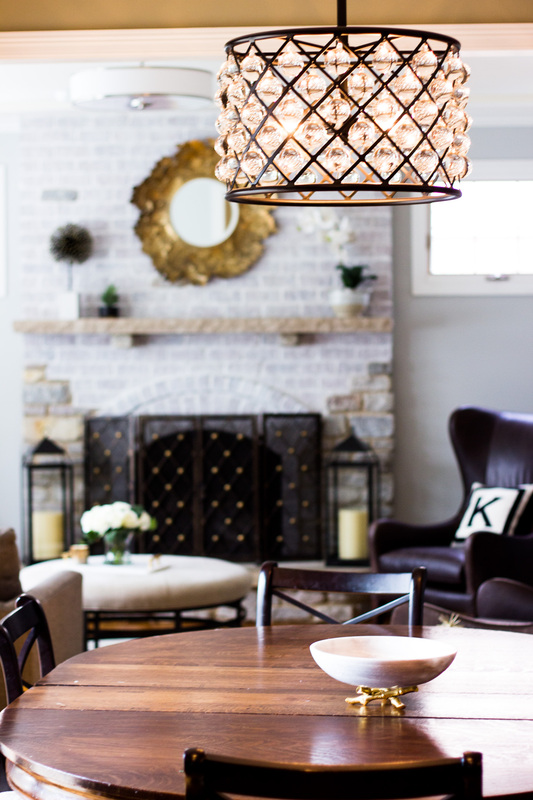 Transitional style is the perfect description for the result. 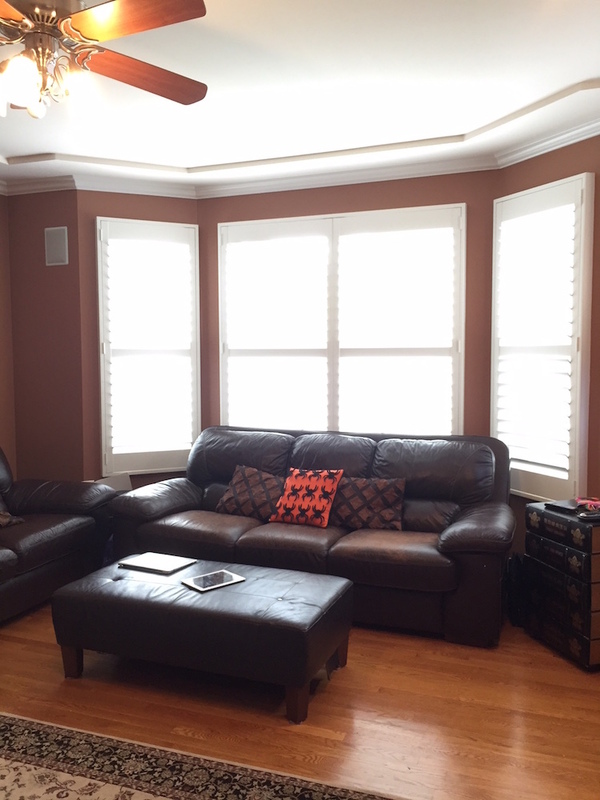 We painted, furnished, replaced lighting, accessorized and even whitewashed. 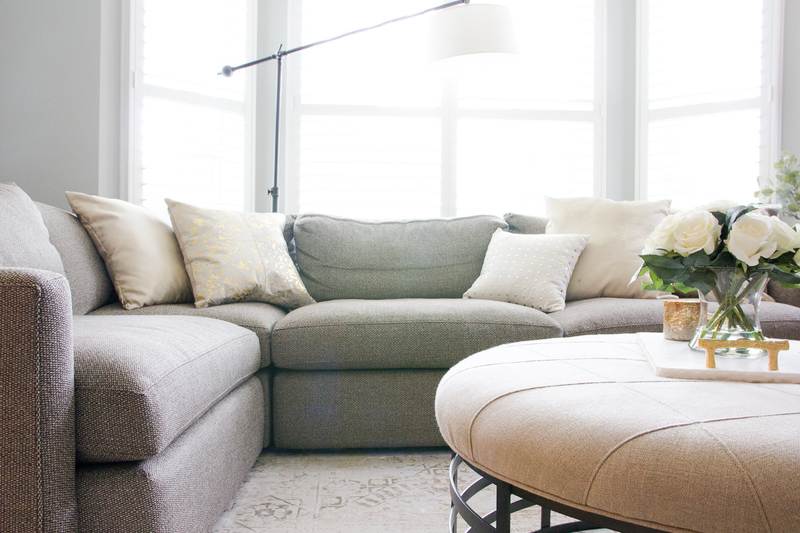 This family room was designed for an active family of 5 so plenty of seating and durable fabrics were both a must. 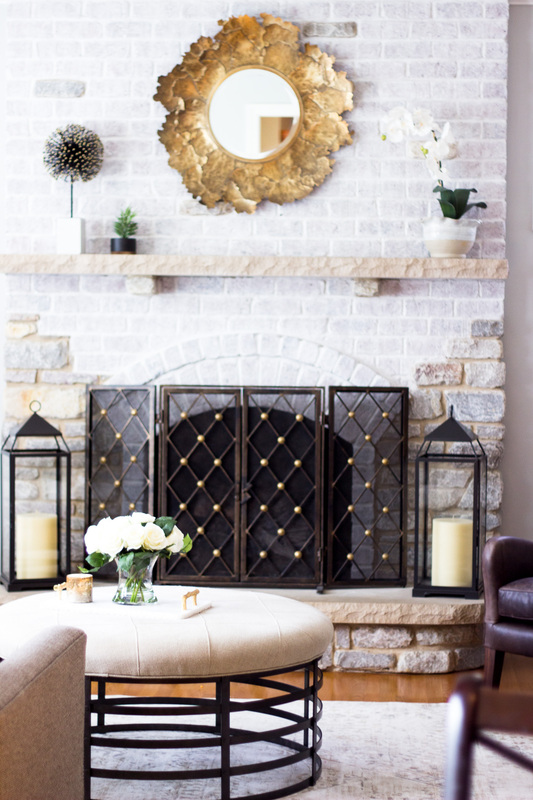 I have wanted to whitewash a fireplace for sooo long and was thrilled when my clients agreed to go for it. I am in love with how it turned out! If you look back at the before picture, you’ll see there was stone at the bottom which we left as it was. 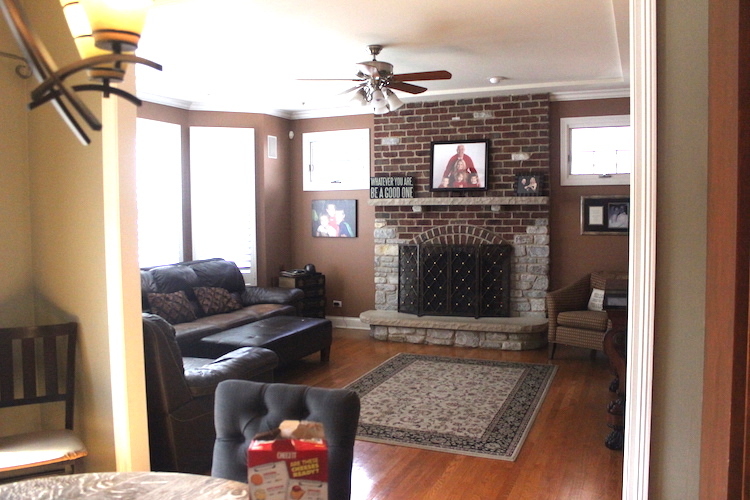 The whitewashing on the red brick brightened the entire fireplace up and complements the existing mantel and stone. 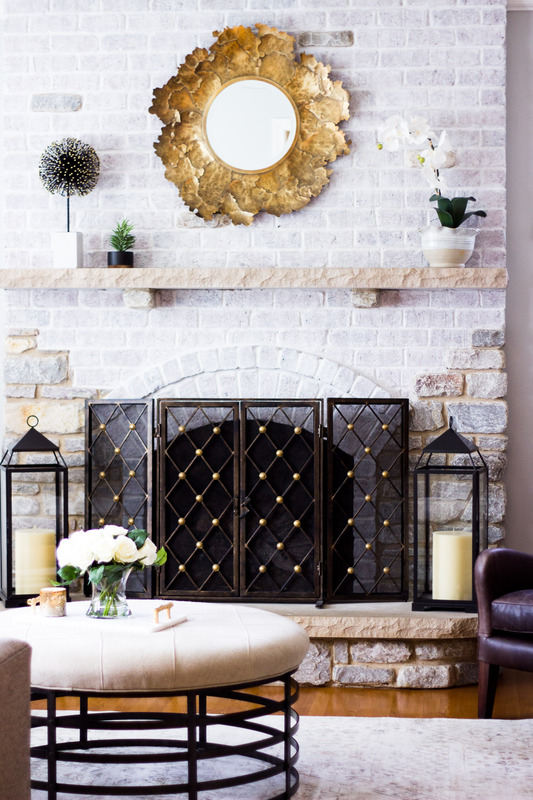 The wood and iron mirror from Anthropologie is definitely a highlight here as well. 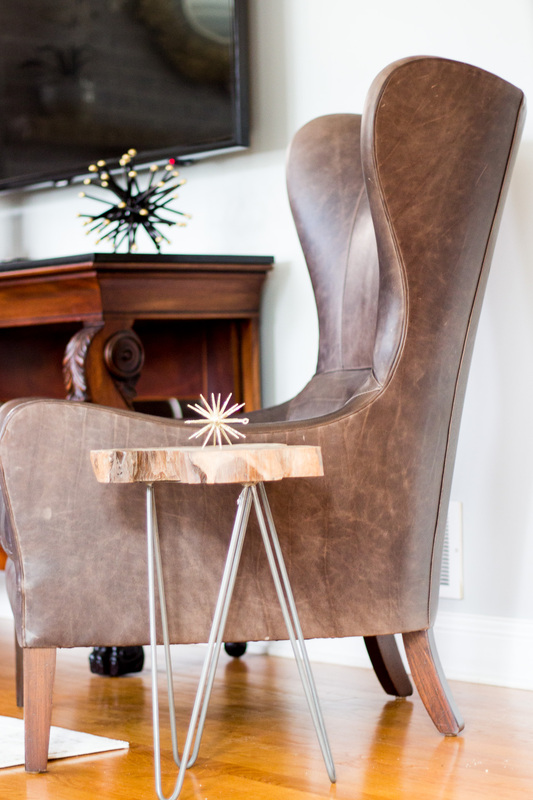 Most people think of Anthro for clothes but their home decor pieces are amazing as well! 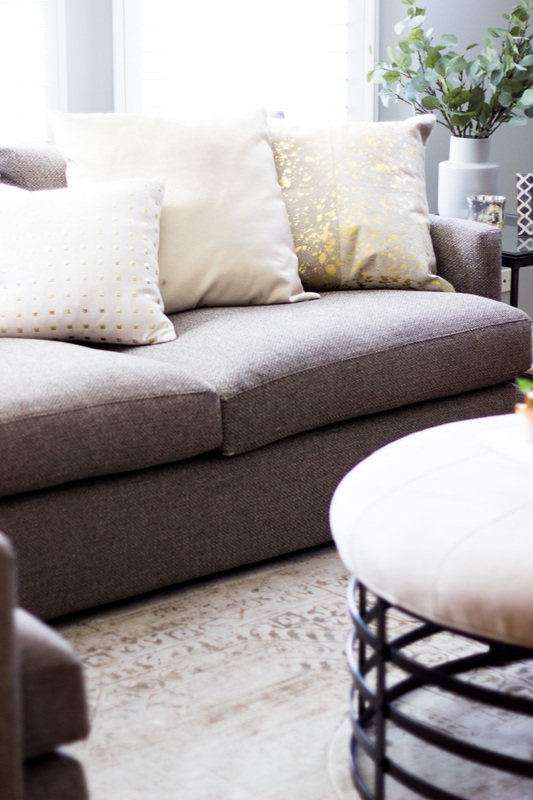 We used a mix of pillows from a few of my favorite sources: Loom Decor, Jonathan Adler and Restoration Hardware. The textures are stunning in person. 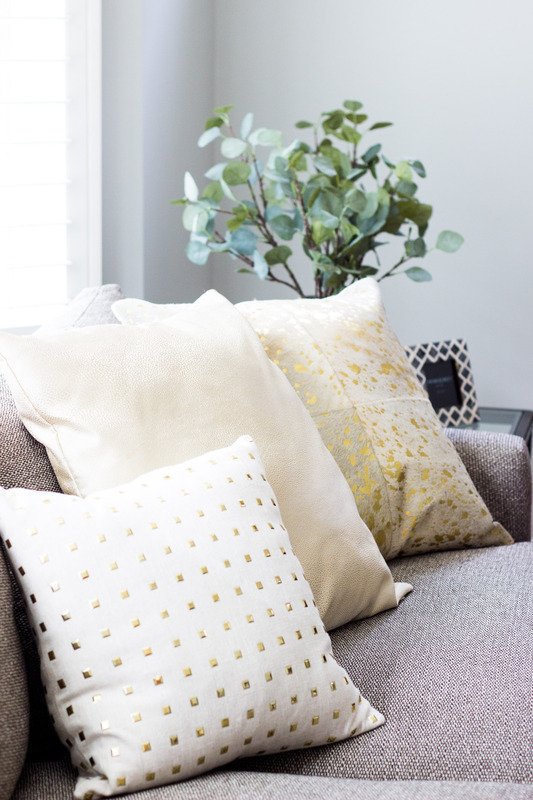 Gold studs, metallic foils and cowhide. 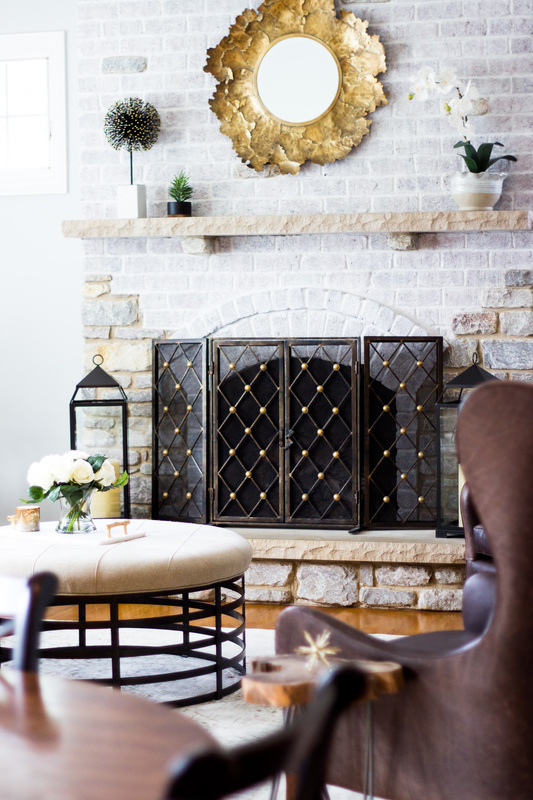 We still have a few items to finish up, like hanging this artwork but I wanted to share the details and pictures I snapped while styling the room. Luckily I had Eric to come help with some of the heavy lifting and take this pic so you can see. Two pieces of this artwork will be on both sides of the TV (both above the wingback chairs). I’m contemplating getting the same artwork for my own house too. 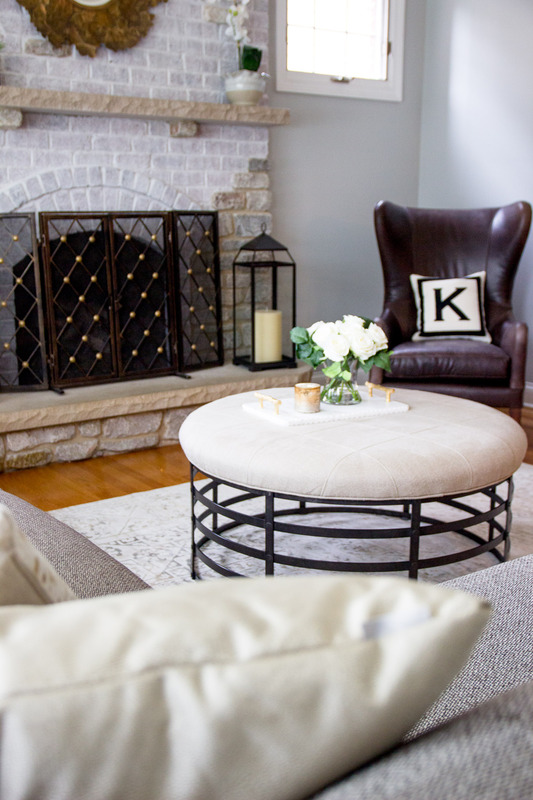 They add texture and interest while still being simple. 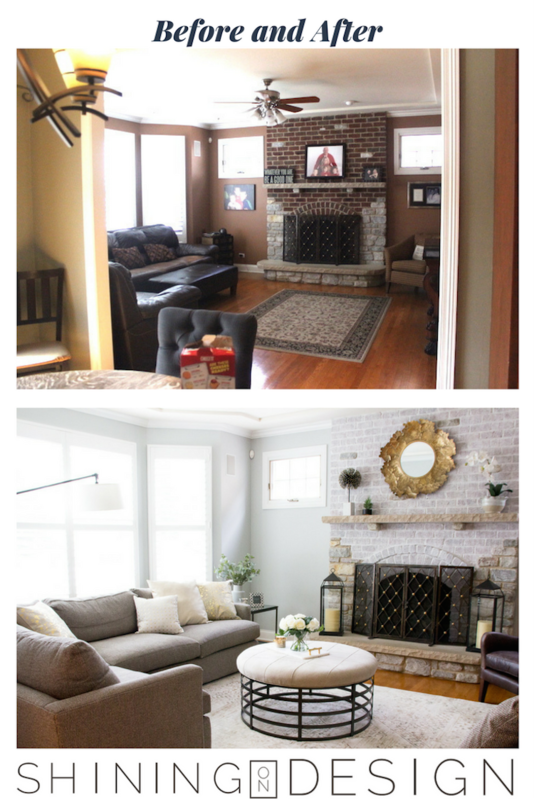 And here are a couple more BEFORE AND AFTER’s! Thank you for visiting and hope you all enjoyed this post! Love it. What a fabulous transformation! Great job. This is beautiful. I love the light colours, the room is so inviting and warm now. Great job Samantha! Thank you so much Lisa! I really appreciate it. This is such a beautiful transformation! It makes me want to move right in!